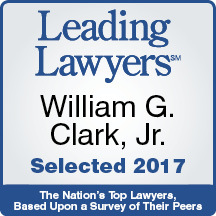 At William G. Clark, Jr. & Associates, LTD., we provide professional and individualized representation to clients during a divorce, which very often include property division issues. Our law firm is dedicated to helping individuals and families with their divorce and family law matters. We will meet with you to fully understand your situation, explain your rights and the property division process, and work with you the find the best solutions. We handle asset division matters in the Chicagoland area. Call William G. Clark, Jr. & Associates, LTD. today for an appointment at 312-329-0830.